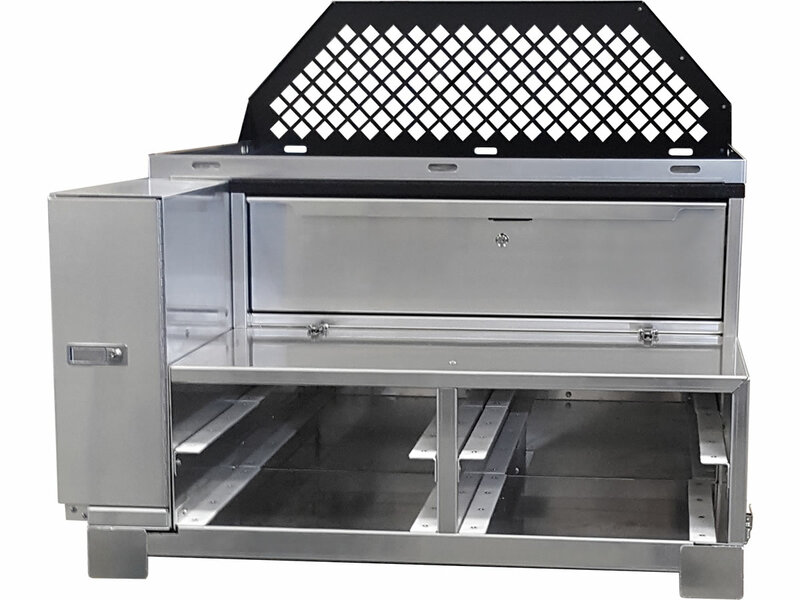 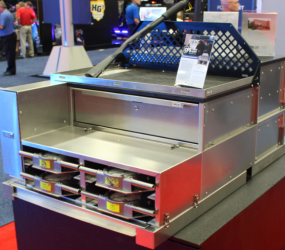 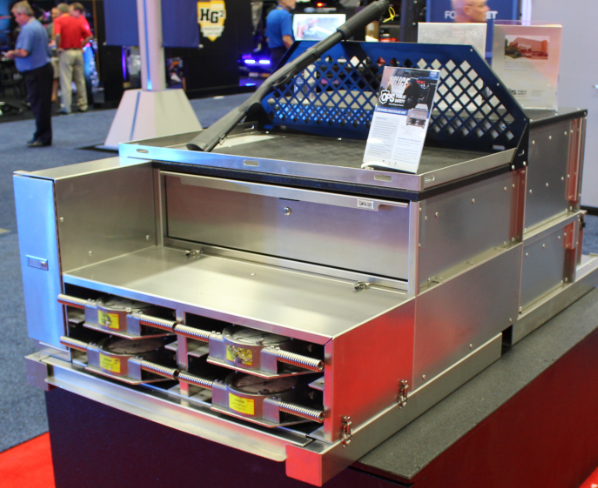 Specifically designed for Commercial Vehicle Enforcement, this unit holds four scales, gear and rifles. 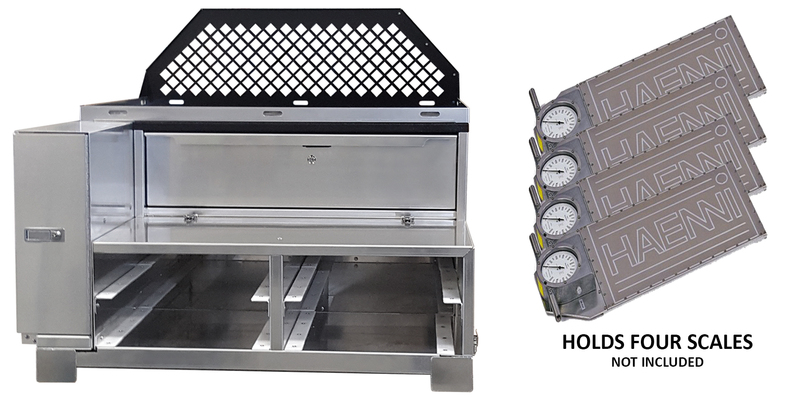 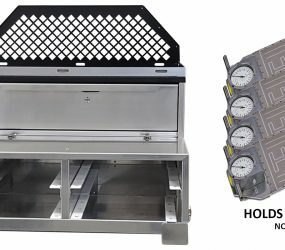 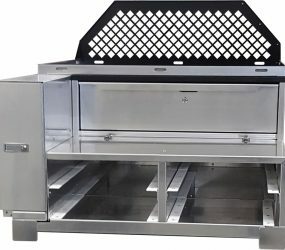 It’s made with heavy-gauge aluminum and heavy-duty, 200-pound ball-bearing slides, and the detachable scale compartment has Teflon slide rails. 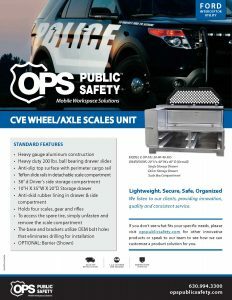 To access the spare tire, simply unfasten and remove the scale compartment. 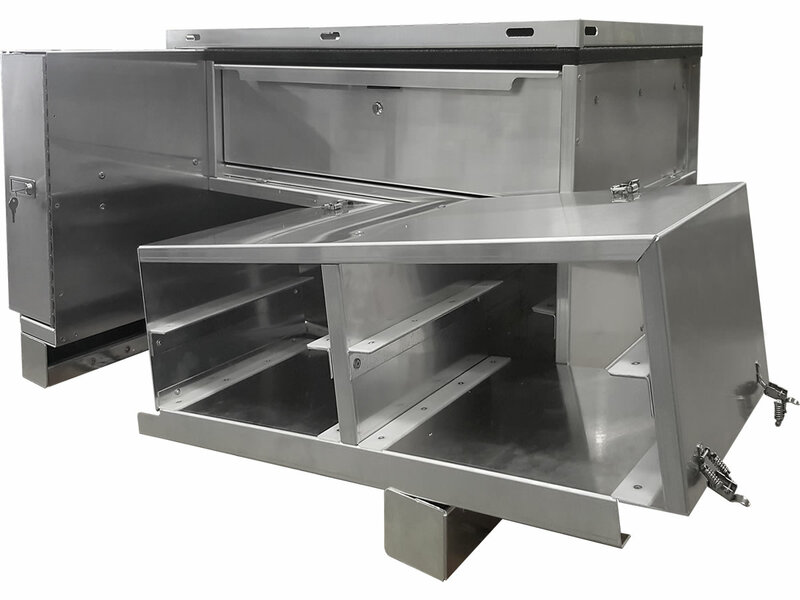 The base and brackets utilize OEM bolt holes that eliminates drilling for installation. 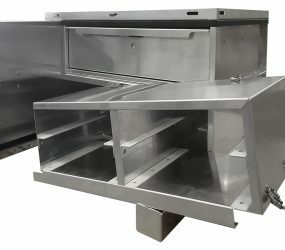 A six scale design is also available.